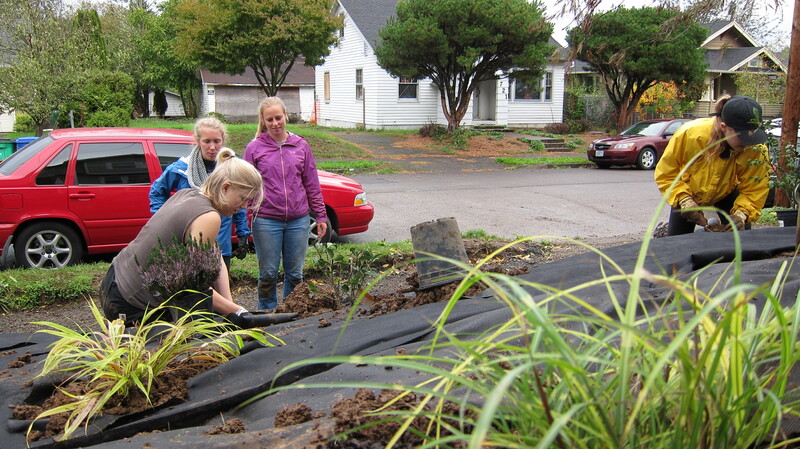 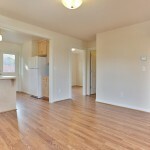 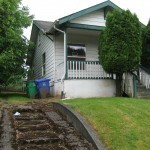 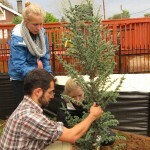 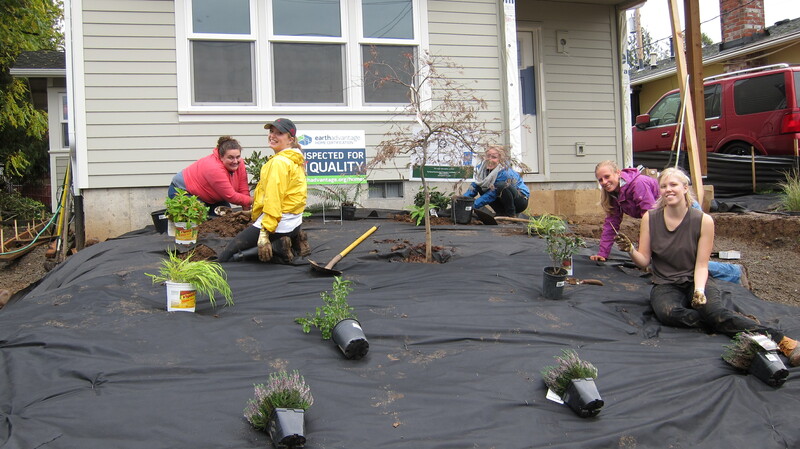 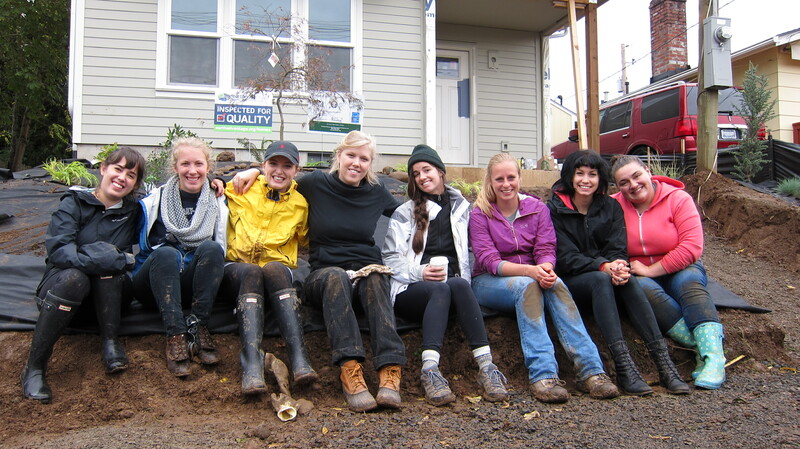 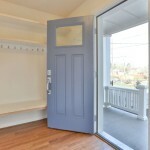 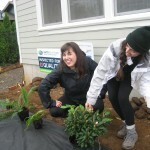 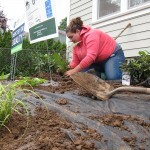 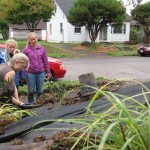 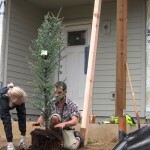 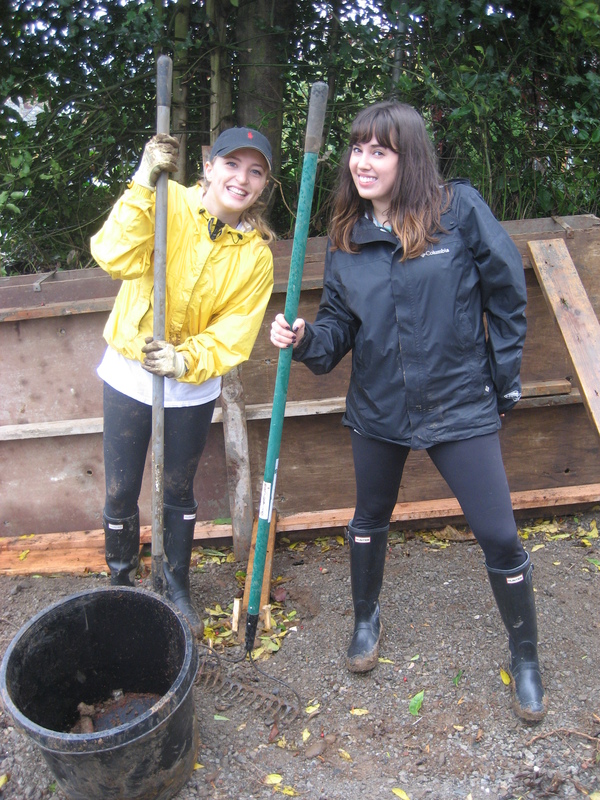 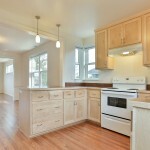 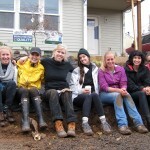 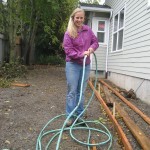 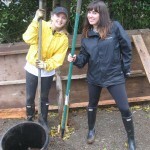 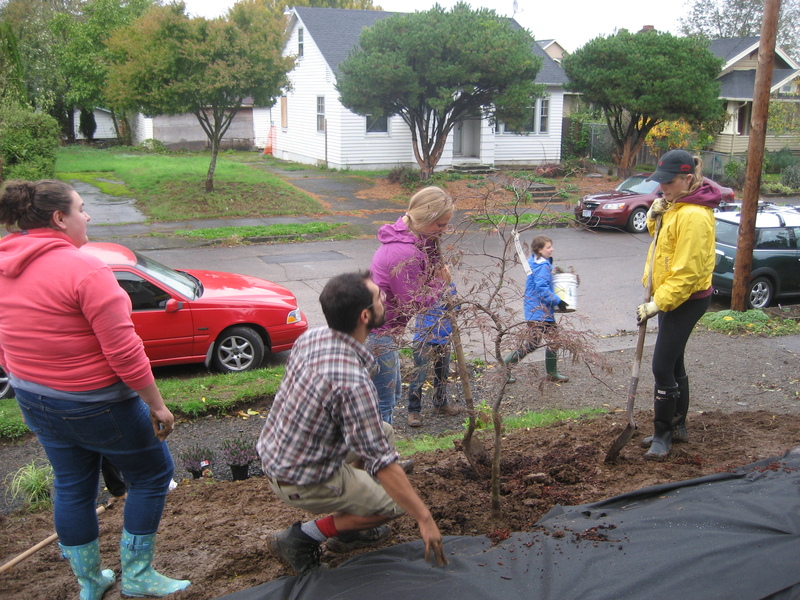 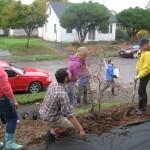 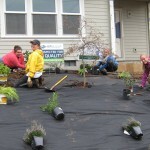 Portland Community Reinvestment Initiatives Inc. · Our Homes - Portland Community Reinvestment Initiatives Inc. 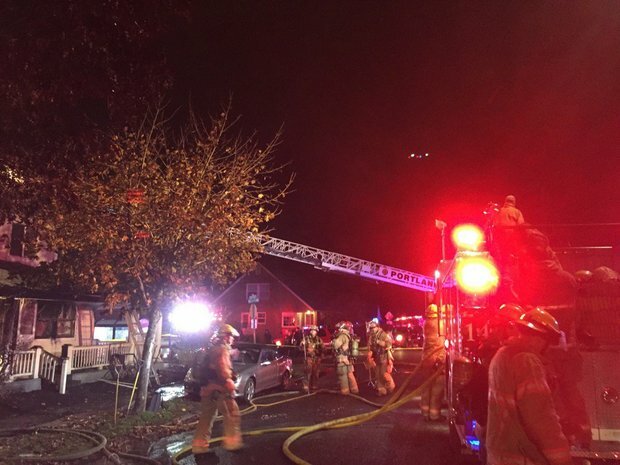 In November 2016, four families were displaced from their homes after a fire destroyed four of six townhomes at NE 27th Avenue and Killingsworth in Portland. 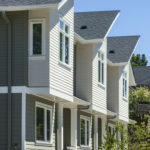 Upon learning of the news, PCRI reached out to affordable housing provider Sabin CDC, who owns the property that was impacted by the fire, offering to assist in finding homes for the displaced families. 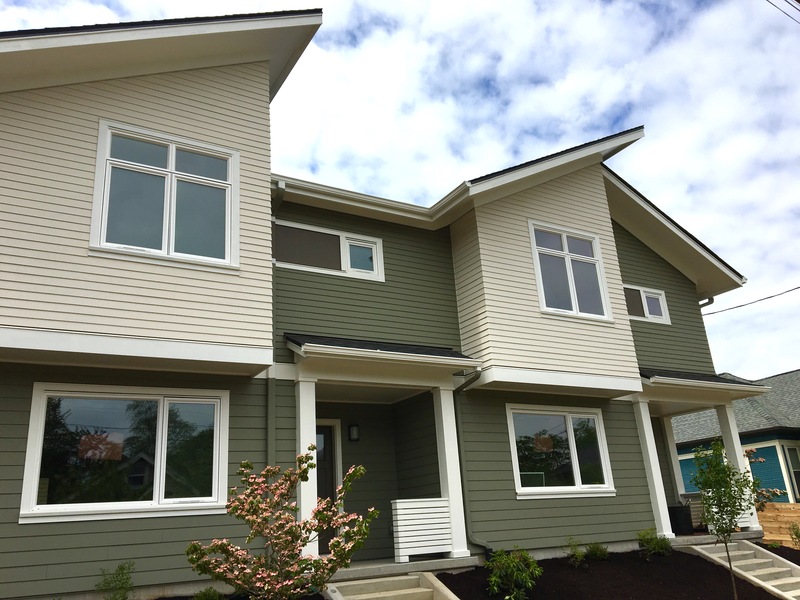 Happily, two of the families recently moved into nearby PCRI rental homes with help from community partner Self Enhancement, Inc., ensuring the families remain in affordable homes and are able to stay in a familiar neighborhood. Fortunately, all four families escaped the fire safely and found temporary shelter with the Red Cross while seeking permanent homes. 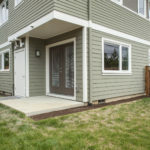 The families not moving into PCRI homes have already found new housing or are working with partners to move into other homes. 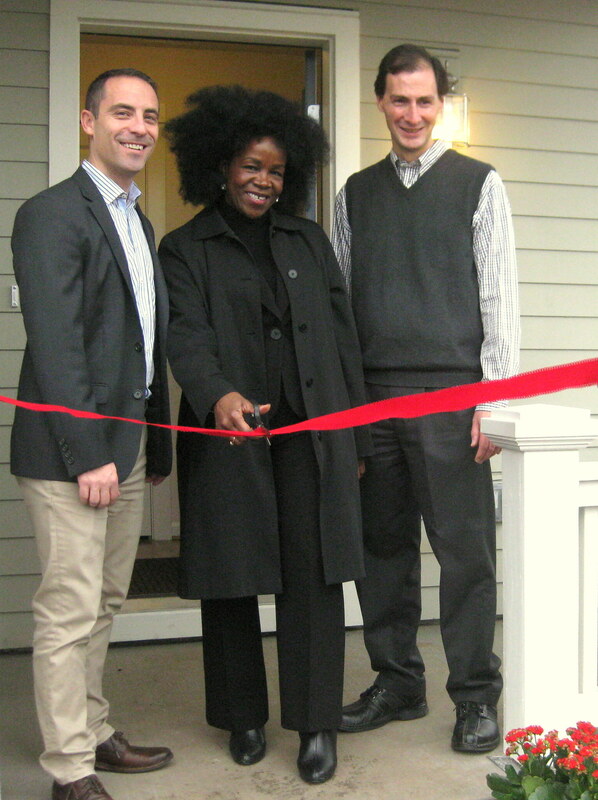 Sabin CDC is in the process of rebuilding the fire-damaged units so they can be once again made available as permanent housing for low-income families. 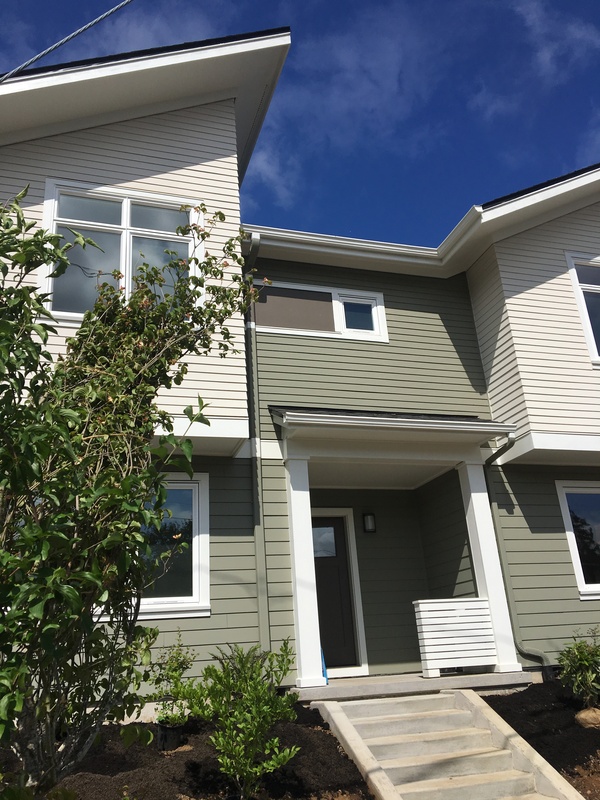 In addition to the new residents who were previously displaced due to fire, PCRI welcomed 38 new residents into its homes during the year, ensuring each family had safe, stable and affordable homes. 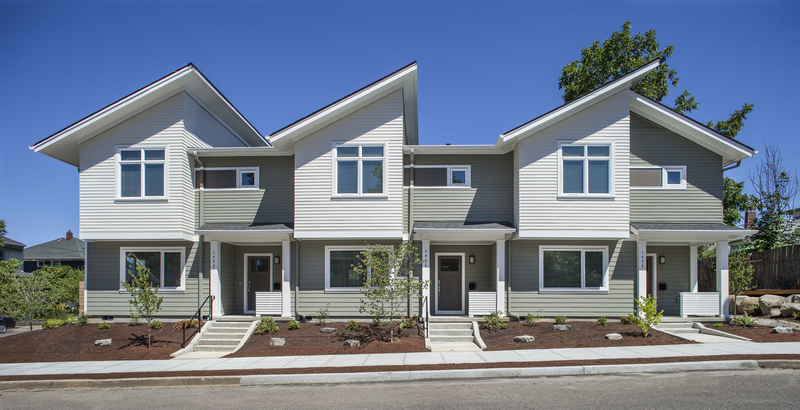 And we’re proud to have opened the doors on 6 new rental homes (including the one pictured at right) in Northeast Portland. 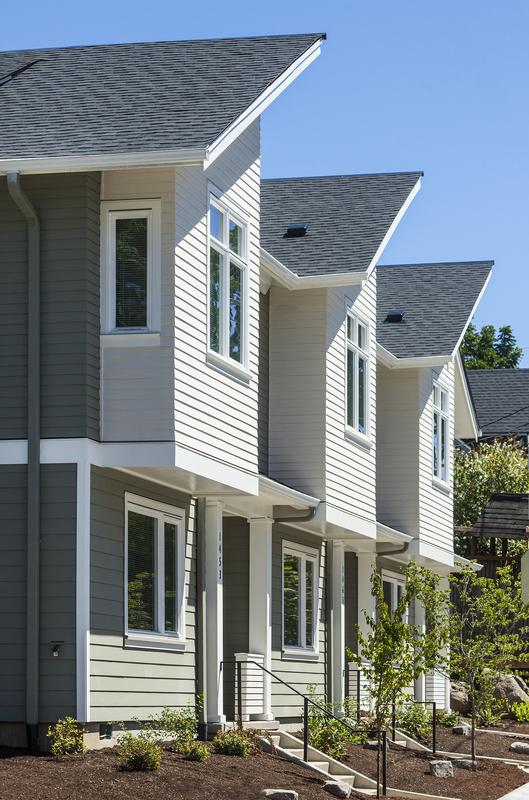 Stay tuned for additional news: more new homes are on the way in 2017 for renters and first-time home buyers. PCRI is excited to announce a new rental housing development which will serve low-income families in Northeast Portland. 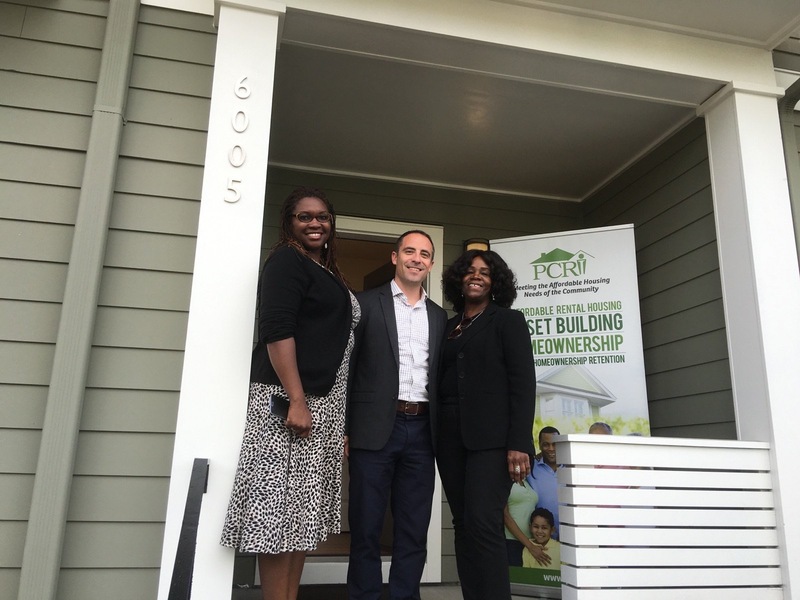 The PCRI-led team was chosen by Portland Housing Bureau earlier this year to develop the site at the corner of NE Martin Luther King Jr. Blvd. 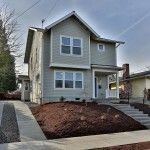 and Rosa Parks Way, less than a block from PCRI’s main office. 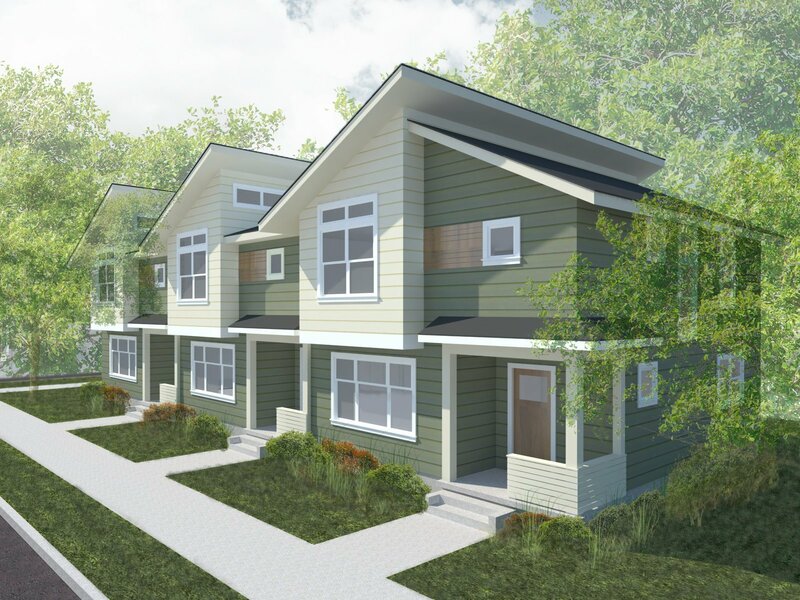 In partnership with Merryman Barnes Architects, Colas Construction and Cascade Management, PCRI is currently developing designs for the property, envisioning a U-shaped building surrounding a central courtyard (pictured below). 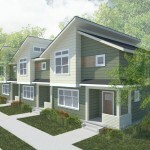 Initial designs include one-, two- and three-bedroom apartments serving households at a variety of income levels. The completed building is expected to feature on-site management on its ground floor, along with a community room and secure bicycle storage. 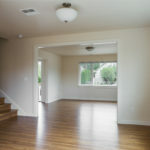 Design development is currently underway. 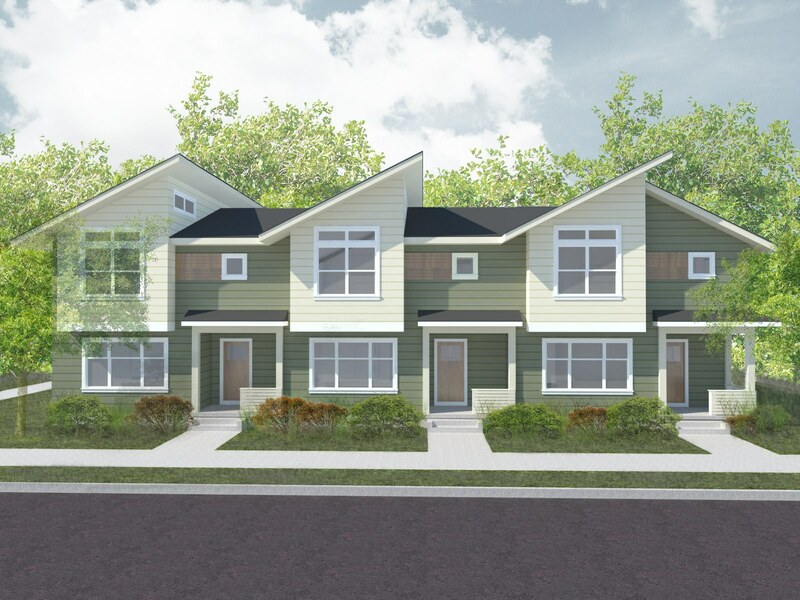 Construction is estimated to begin in spring/summer 2018, with completion in 2019. 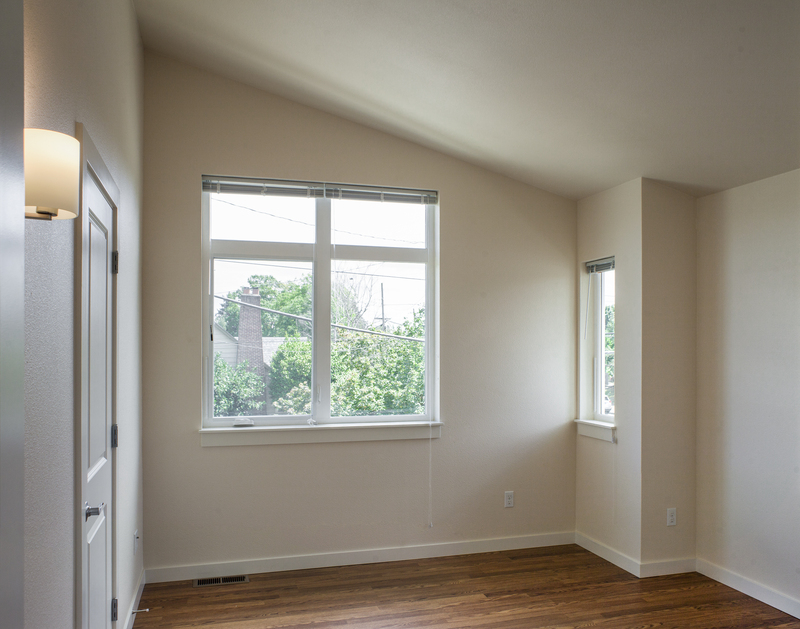 When completed, the apartments will utilize a geographic preference policy administered by Portland Housing Bureau to provide leasing priority for current and former residents of North and Northeast Portland who have been negatively impacted and/or displaced by prior public action and investment. 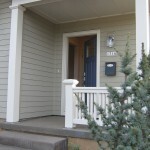 For more information about the preference policy, visit the Portland Housing Bureau website. 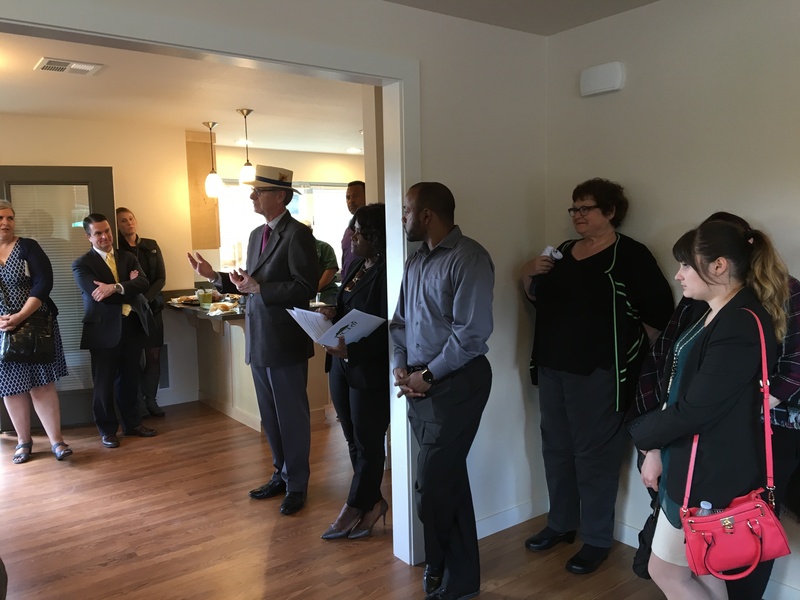 Community members, neighbors, partners and others joined PCRI for an open house to see PCRI’s newest affordable rental homes and enjoy food from local businesses Tamale Boy, Portland Prime and Cupcake Jones. 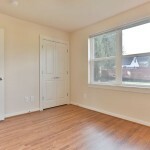 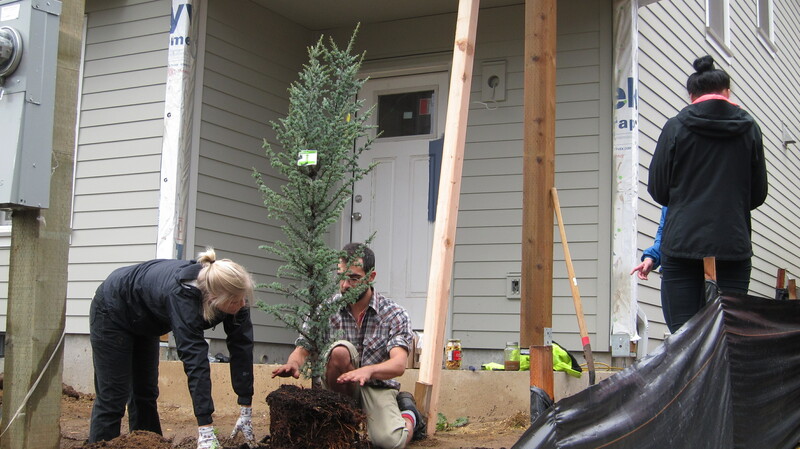 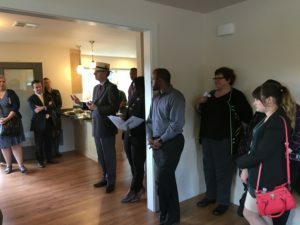 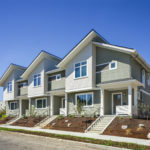 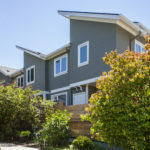 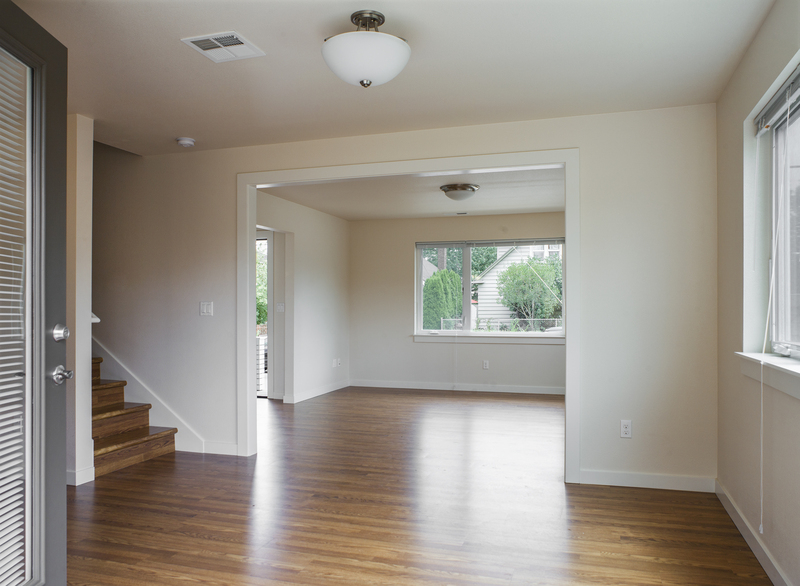 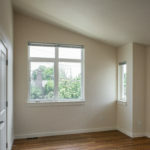 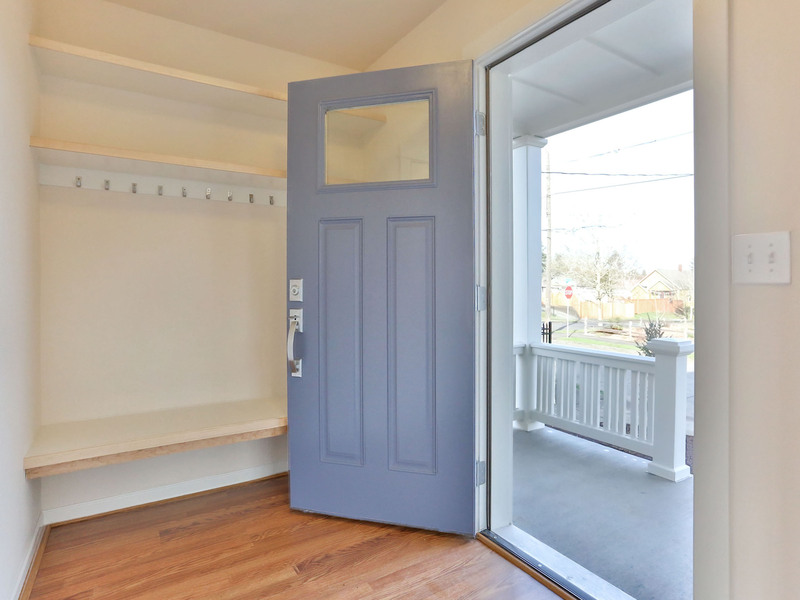 The June 14 event celebrated completion of construction of six three-bedroom, townhouse-style rental homes intended to help mitigate and prevent displacement in Northeast Portland’s rapidly changing neighborhoods. 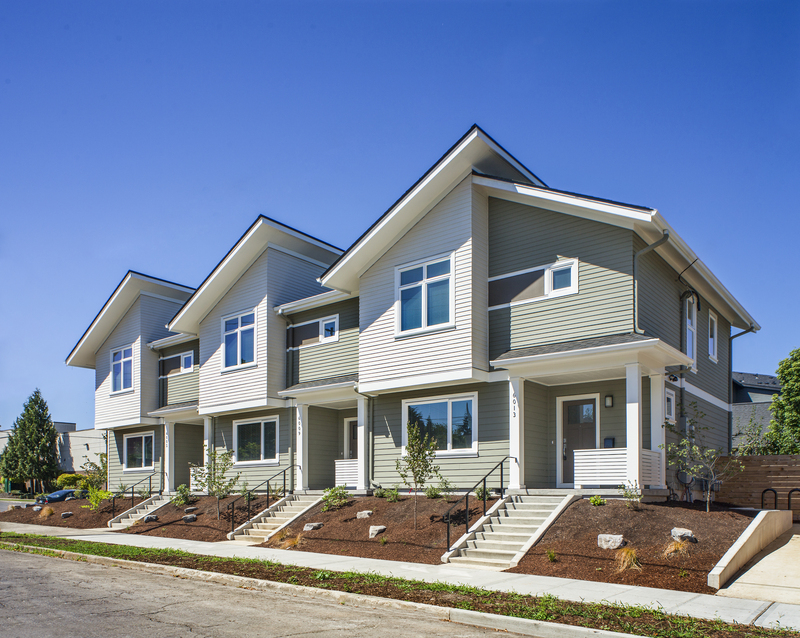 Designed by eM|Zed Architecture and built by Colas Construction, these homes will ensure durability, health and affordability for resident families for years to come. 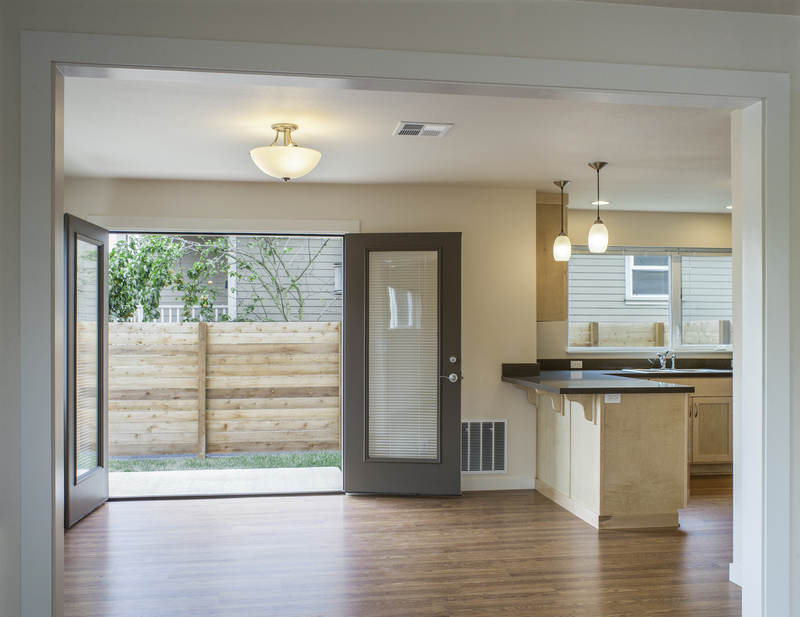 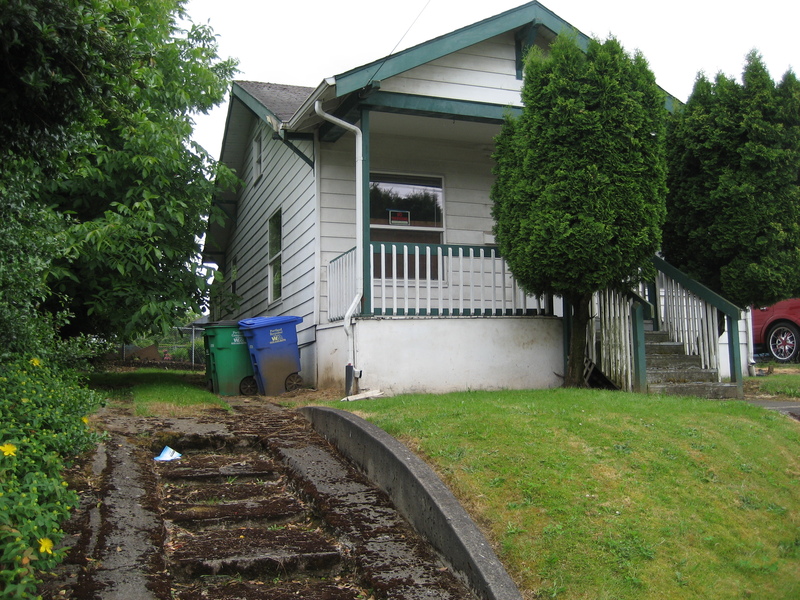 Thanks to a grant from the Portland Bureau of Planning and Sustainability, the existing home at the site which was not suitable for rehabilitation was deconstructed, helping to prevent valuable building material from becoming landfill. 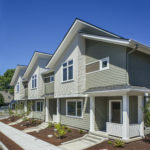 Financing for the development and construction was provided by Portland Housing Bureau and Pacific Continental Bank, with additional incentives and grant funding from Energy Trust of Oregon and NW Natural. 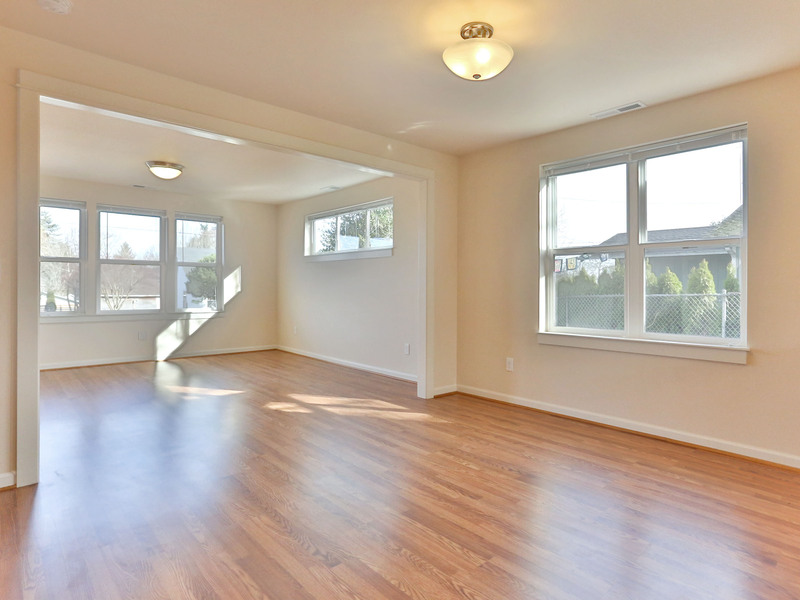 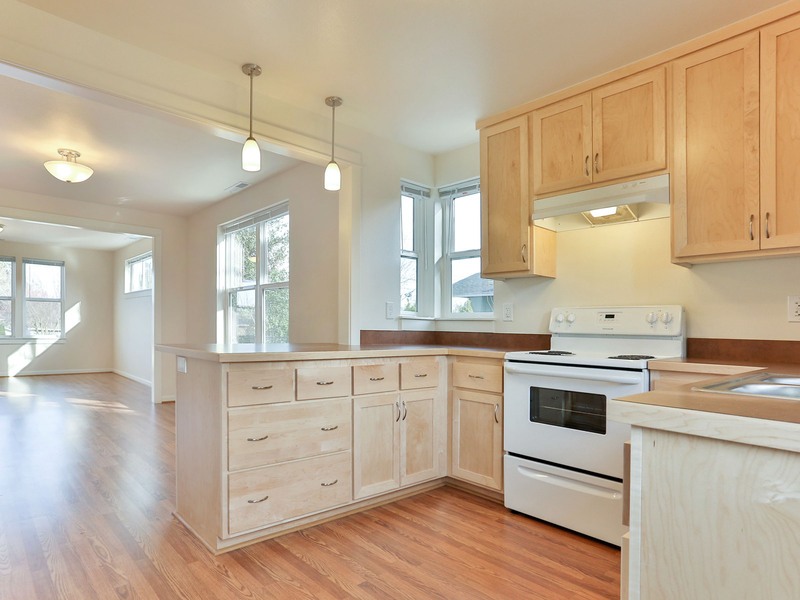 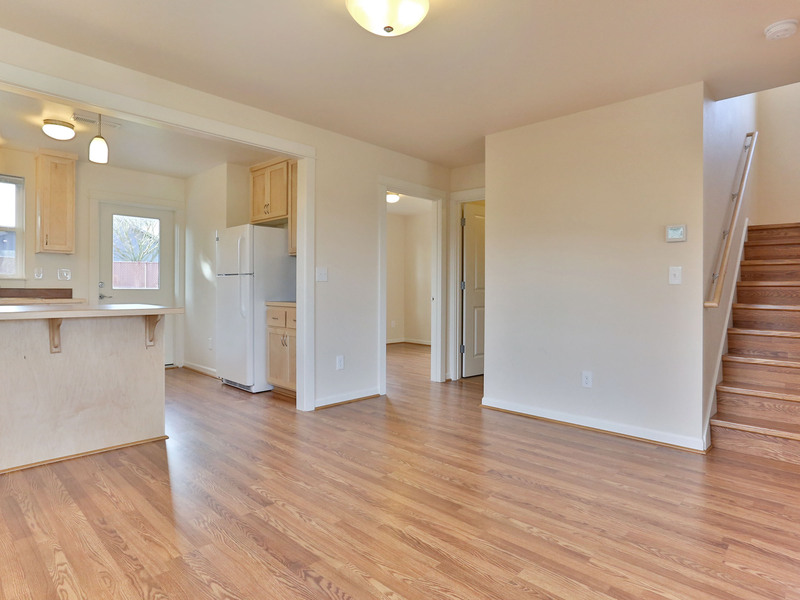 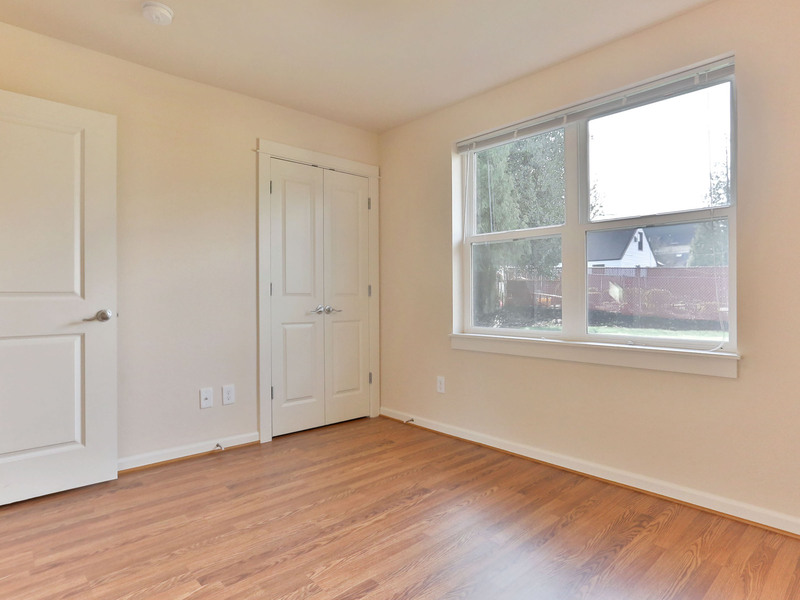 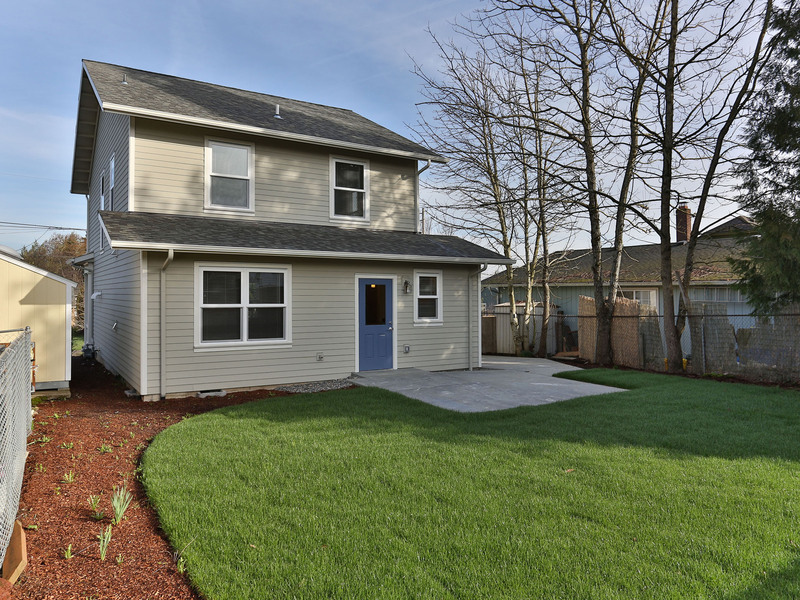 This new construction 4-bedroom, 2-bath home in Portland’s Woodlawn neighborhood was completed in December 2014. 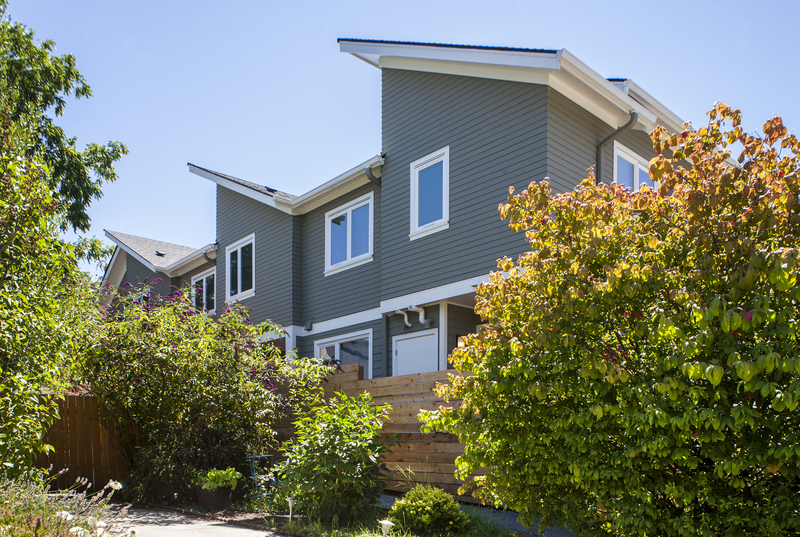 The home earned Earth Advantage Platinum certification for its’ sustainable construction and serves as a prototype for future developments. 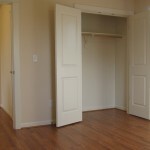 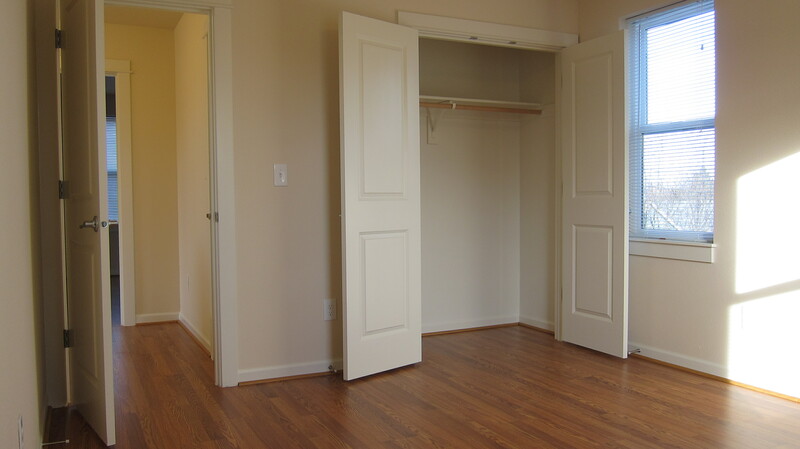 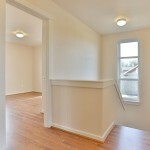 A main floor bedroom and bathroom, as well as all living spaces, are accessible to a resident with mobility impairments. 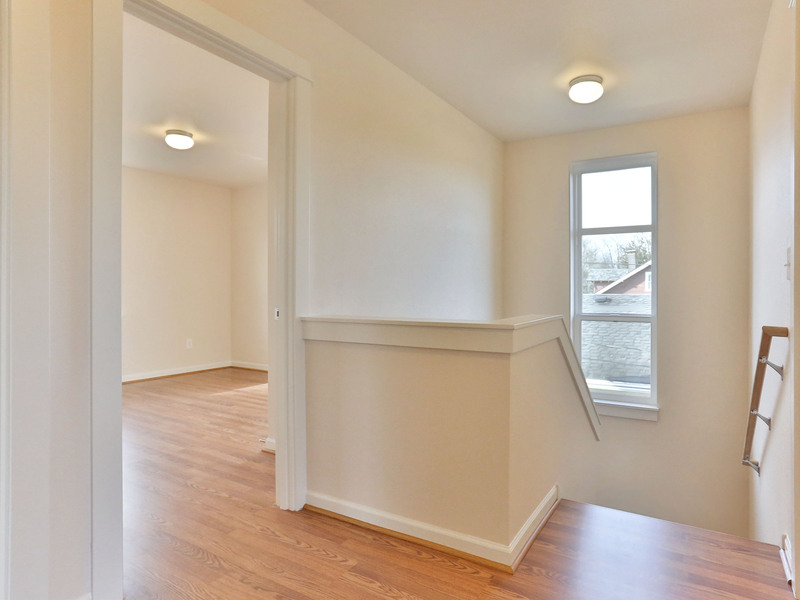 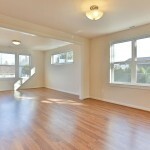 Upstairs, three additional bedrooms and a full bathroom provide space for a larger or extended family. 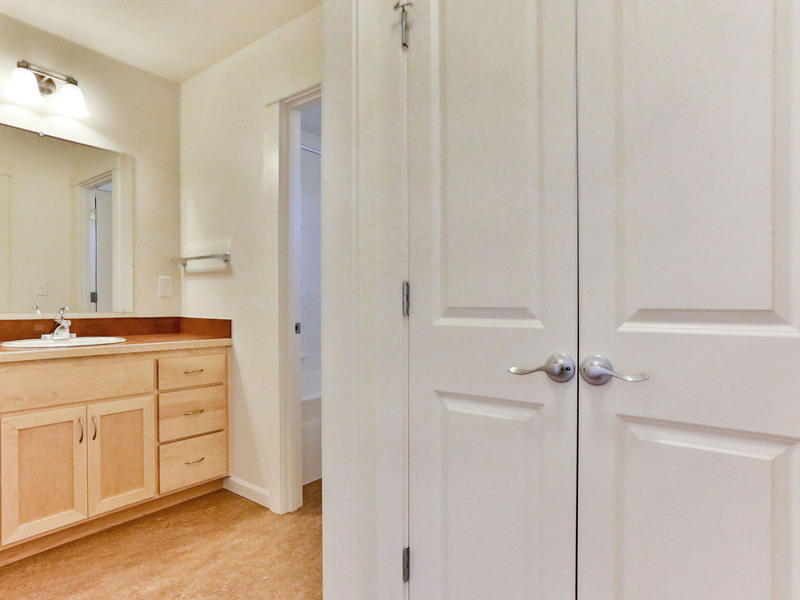 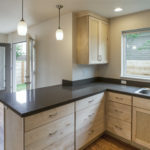 As with other homes developed by PCRI, this home benefits from finishes, cabinetry and flooring chosen because for good looks and durability as well as their absence of unhealthy chemicals used in production and finishing. 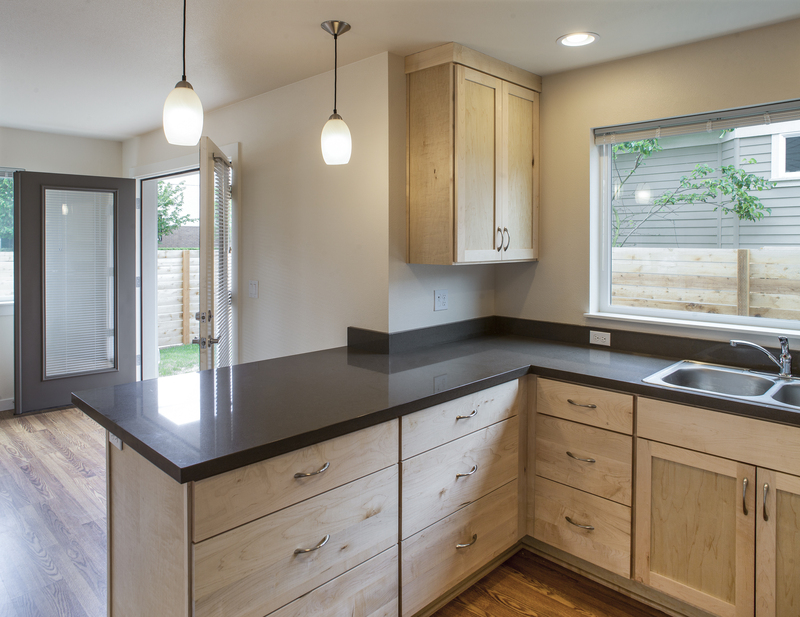 Space and water heating, appliances and lighting fixtures were all selected to maximize the home’s energy-efficiency, reducing utility costs for residents. 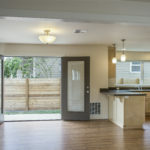 When PCRI determined that the existing home on this property wasn’t practical to rehabilitate, we looked to replace it with a new home that was not only affordable and practical, but also healthy and efficient. 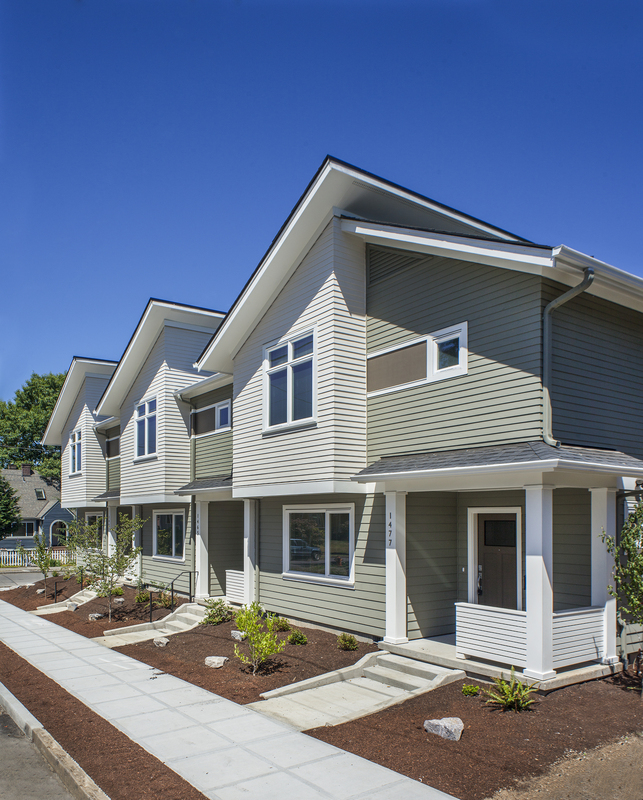 The new home is part of a larger strategy by PCRI to ensure and expand the availability of affordable rental housing in high-opportunity neighborhoods. 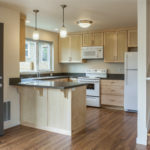 This home and future developments aim to mitigate–and when possible, prevent–the forced displacement of long-term residents due to rising rents and gentrification. 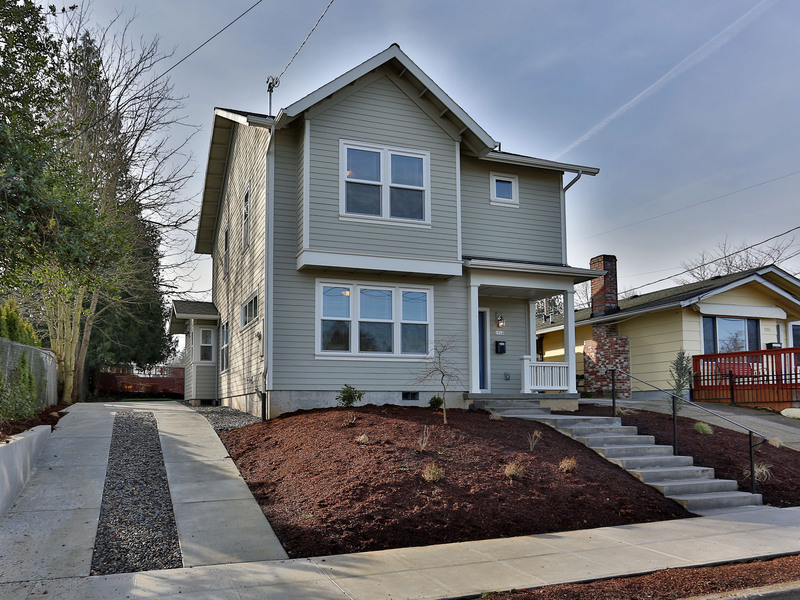 This new construction project, built by Albina Construction, also provided good paying construction jobs for historically underutilized firms. 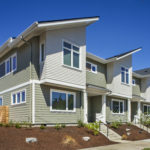 Construction work performed by certified minority-owned businesses comprised approximately half of all subcontracted construction expenses. 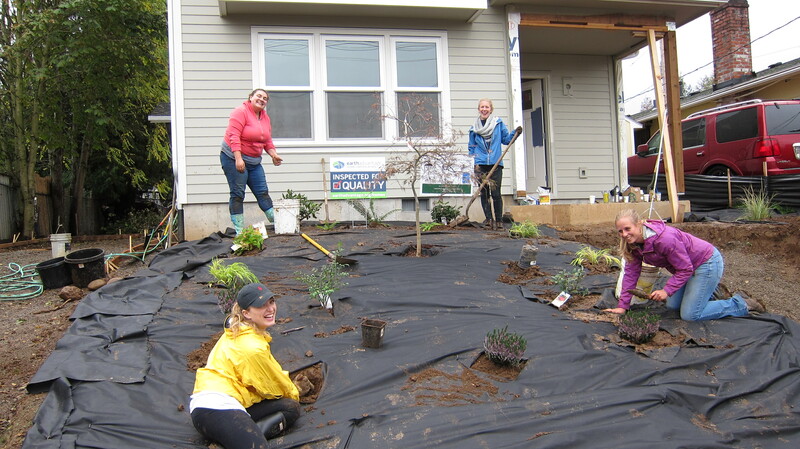 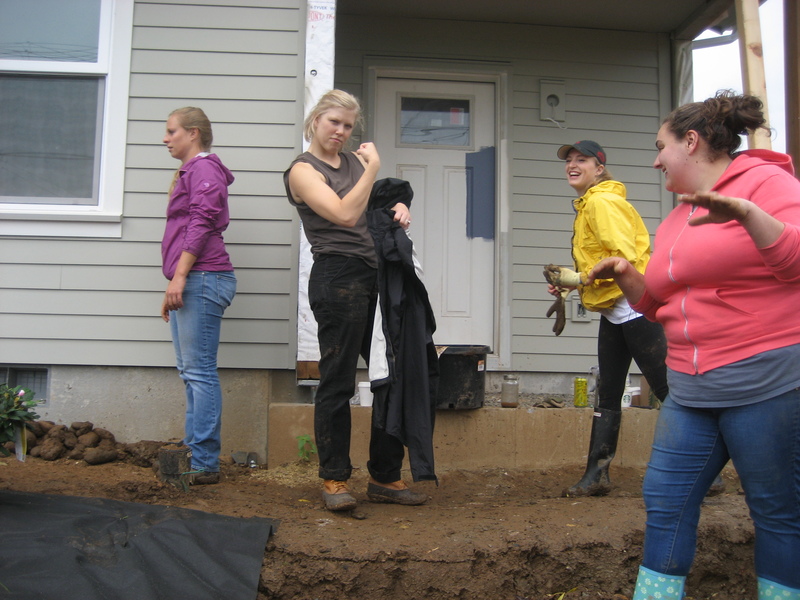 In addition, volunteer partnerships helped stretch the project budget while ensuring the new home was a compliment to the neighborhood. 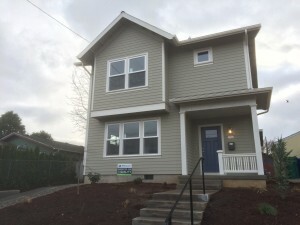 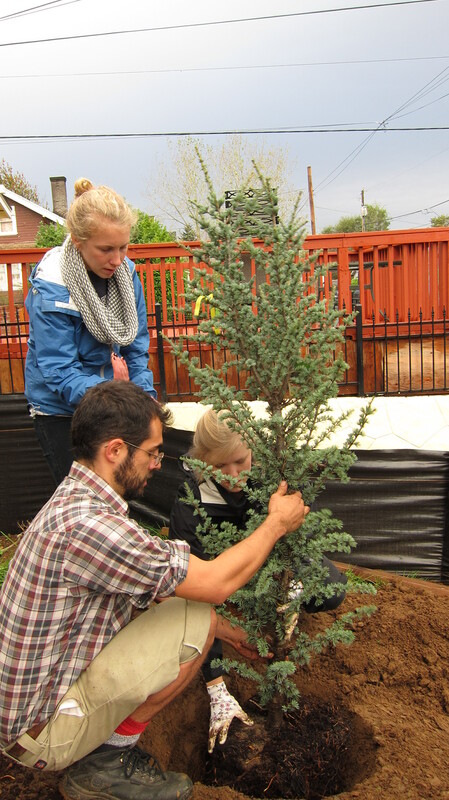 Funding for this project was provided by Portland Housing Bureau, the U. S. Department of Housing and Urban Development (HUD), equity invested by PCRI, and the use of energy-efficiency incentives from the Energy Trust of Oregon. 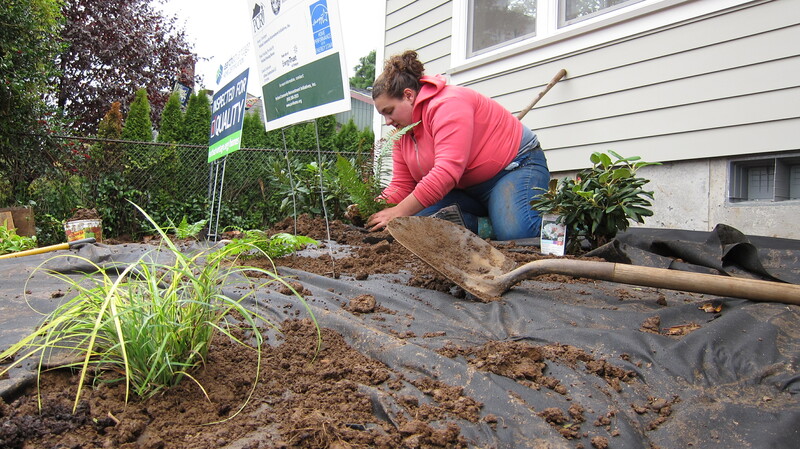 PCRI believes that low-income families should not be forced to choose between keeping their homes warm and putting healthy food on their table. 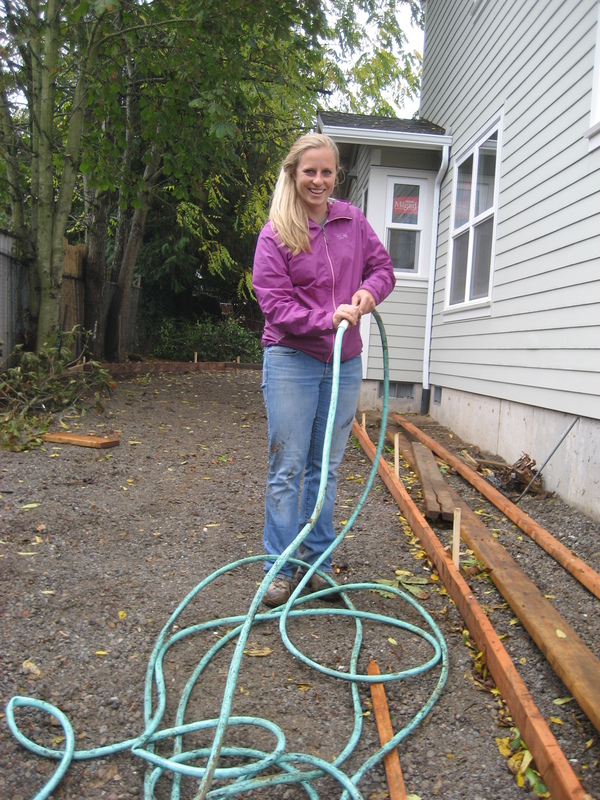 To help low-income families stay warm and have money left for other essentials, a partnership of Portland businesses will soon begin a pilot weatherization program at ten of PCRI’s single-family homes in North and Northeast Portland. 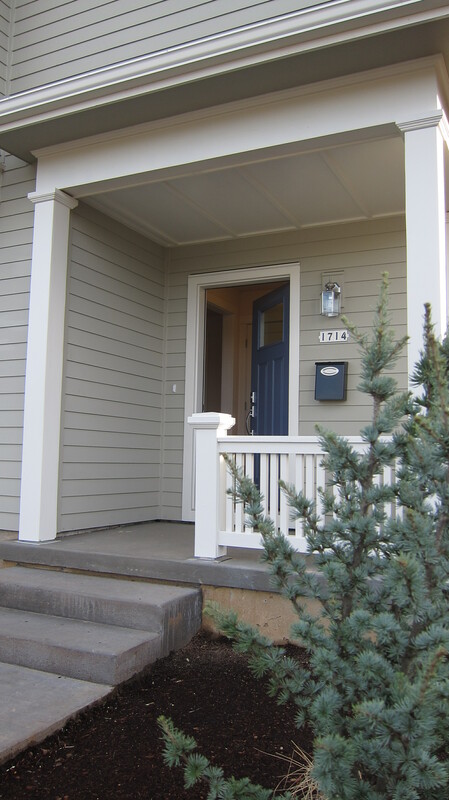 HELP installers discuss a home’s weatherization measures. The pilot, a collaboration between Portland non-profits PCRI and Verde, will be funded by NW Natural. 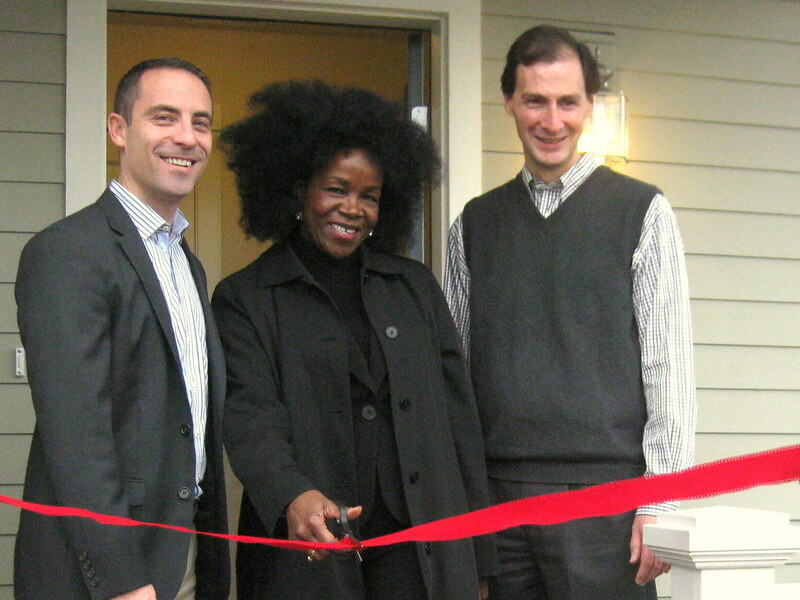 It provides energy-saving weatherization improvements like air sealing and insulation to low-income households without challenges like waiting lists and up-front costs that accompany many existing weatherization programs. 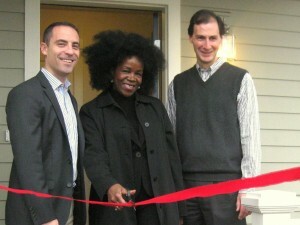 PCRI and Verde are also using the pilot to provide economic opportunity to low-income families and communities of color. 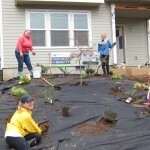 The two non-profits engaged Home Energy Life Performance Group (H.E.L.P. 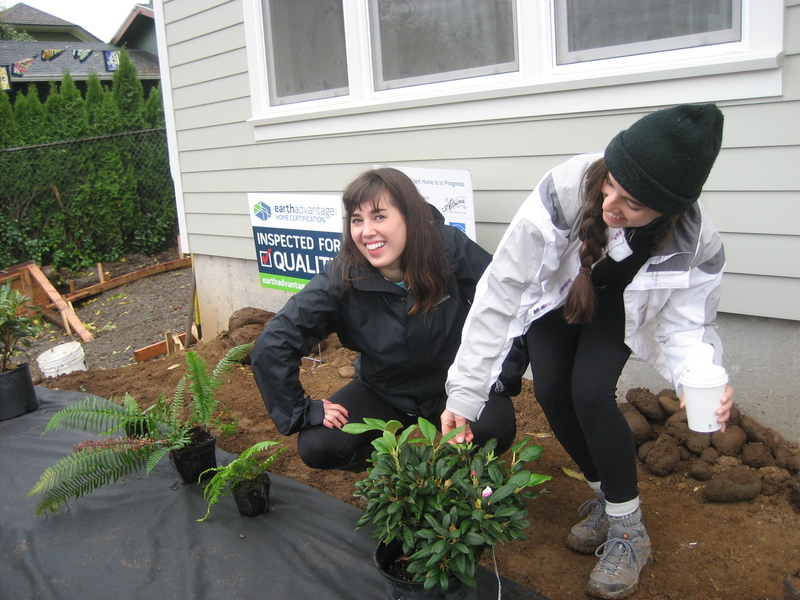 ), a minority- and woman-owned business who has already weatherized and reduced energy consumption for over 800 Oregon homes, to perform the weatherization improvements. 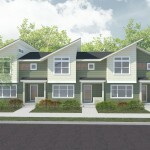 The project is expected to create 340 work hours in its pilot phase, with additional opportunity in future phases. 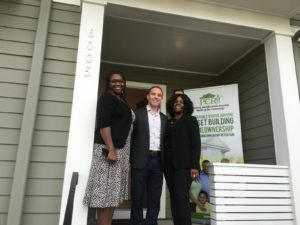 “Along with helping Oregon families to live in warmer, healthier homes, partnerships like this mean we can grow skilled-labor jobs, while generating additional opportunities for multiple local business providers,” said Berenice Lopez, President of Home Energy Life Performance Group. 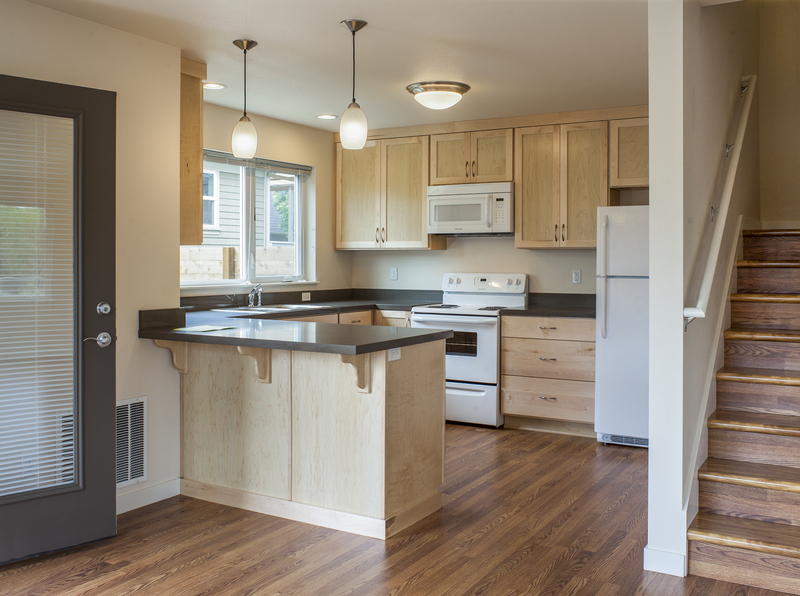 Beyond measures like air sealing and insulation, the pilot includes an education program, funded by a grant from a private foundation, helping residents understand the work being performed and how household habits affect their energy bills, comfort and healthy indoor environments. 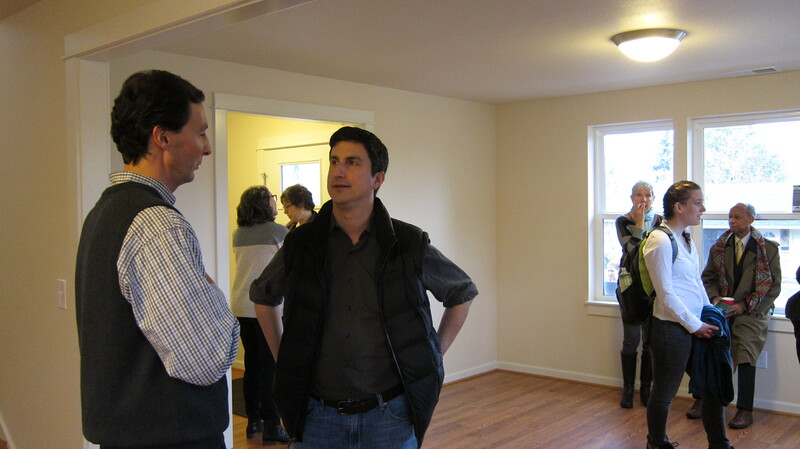 The pilot phase of the project is expected to be complete in early 2014. 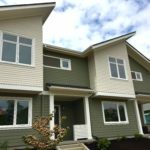 Following a successful pilot, PCRI and Verde aim to replicate the program elsewhere in PCRI’s affordable housing portfolio, for seniors in PCRI’s Homeownership Retention program, and with other organizations serving low-income Oregon residents. 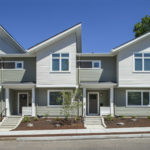 ABOUT NW Natural: NW Natural (NYSE:NWN) is headquartered in Portland, Ore., and provides natural gas service to about 689,000 residential, commercial, and industrial customers in Oregon and Southwest Washington. 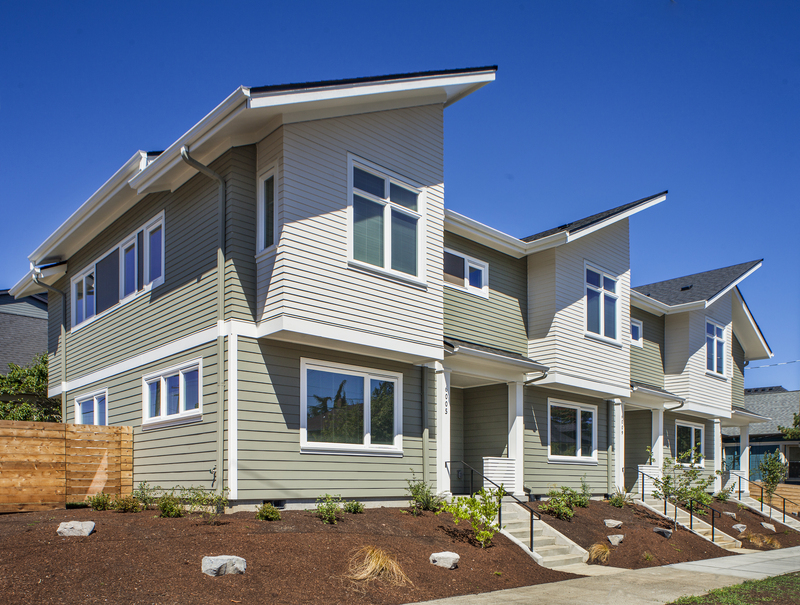 It is the largest independent natural gas utility in the Pacific Northwest. 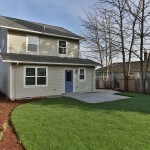 Additional information is available at www.nwnatural.com.